For the first time this year, Bitcoin prices did print below the $5,000 mark at CoinBase as reported and affirmed by statistics from CMC. 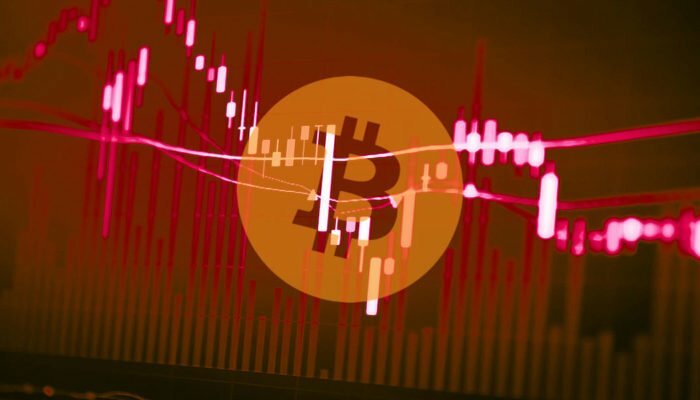 While the losses were across the board, the marked drop in Bitcoin prices did shave the overall security and efficiency of the market. 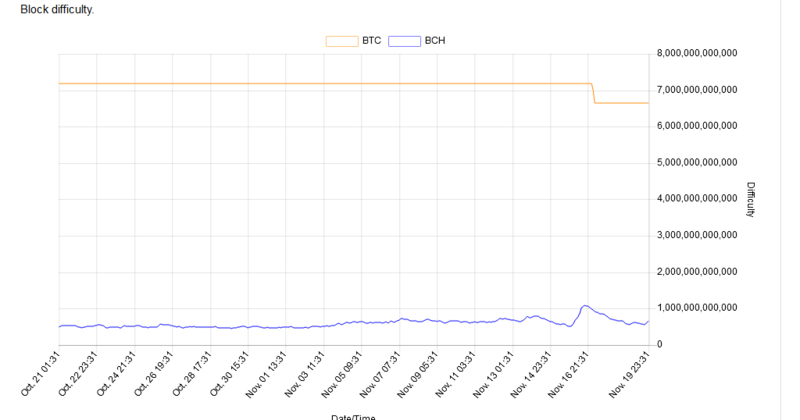 According to statistics, marking the drop of prices is the marked decrease of hash rate or network fire power and overall mining difficulty. This should be a concern for Bitcoin traders/investors. Though historical price movements hint that the bottoms is most likely near, we might end up seeing BTC print new lows as more miners are forced to switch off their rigs due to fiscal pressures. After all, mining is dominated by businesses and most of them are after making money. 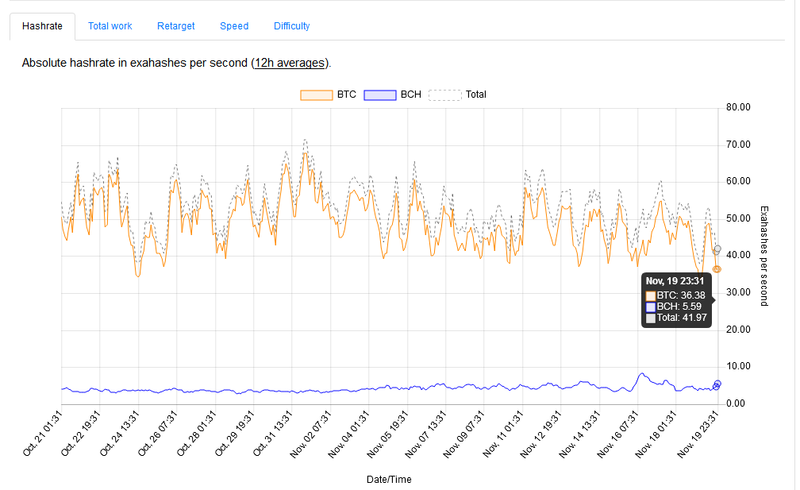 As they switch off their rigs, the network hash rate will most likely drop from 60 Eh/s of early this year to new lows below current fire power of 43.7 Eh/s and this shall not be a pretty scene for bulls who might have to witness another drop below $4,500 to about $3,000 as eToro analyst Mati Greenspan project. On the bright side of the equation, this drop comes with a silver lining. Unlike previous corrections, 2018 losses print at a back drop of increasing regulation, ban and higher adoption levels further spreading the base for a potential rebound to new highs. Back to the chart and losses are clear. Like in our last BTC/USD trade plan, the coin like most in the market is trading within a bear breakout pattern following the events of last week that saw BTC drop from around $6,300 to below $5,800 in a classic bear breakout market complete with wide trade ranges and high volumes. 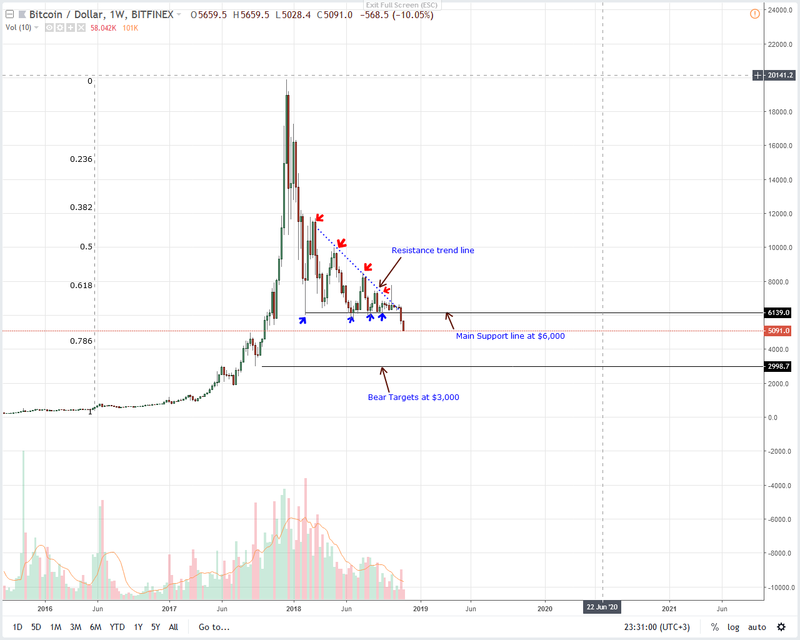 Aside the clear breaks, notice that this depreciation did print in the final section of the descending wedge confirming a classic weeks after several retest of the $5,800-$6,000 main support zone. All in all, we expect bears to reign through this week with our first targets at $4,500 or lower as mentioned earlier. In this time frame, there is confirmation of last week’s losses. What we have is a whole, high volume bear bar printing below the $5,800 resistance level. This is bearish. Yesterday’s losses could either mark the beginning of a lasting bear market or the end of a bear cycle as price range horizontally. 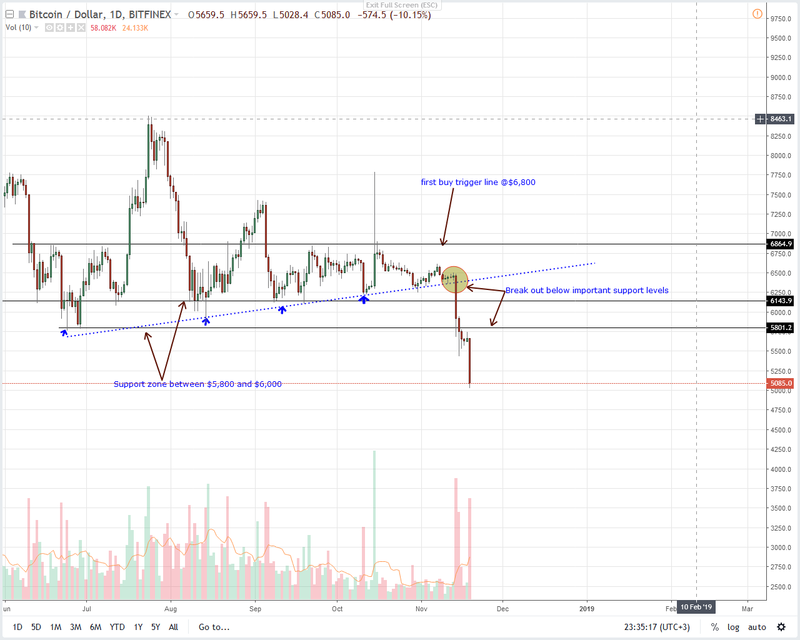 Unless otherwise there are convincing gains above $5,800 and most importantly $6,000, sellers should find an opportunity to unload BTC on every pull back as bears seek to drive prices to $4,500.